Their flagship store is on the famous Jermyn Street in London. 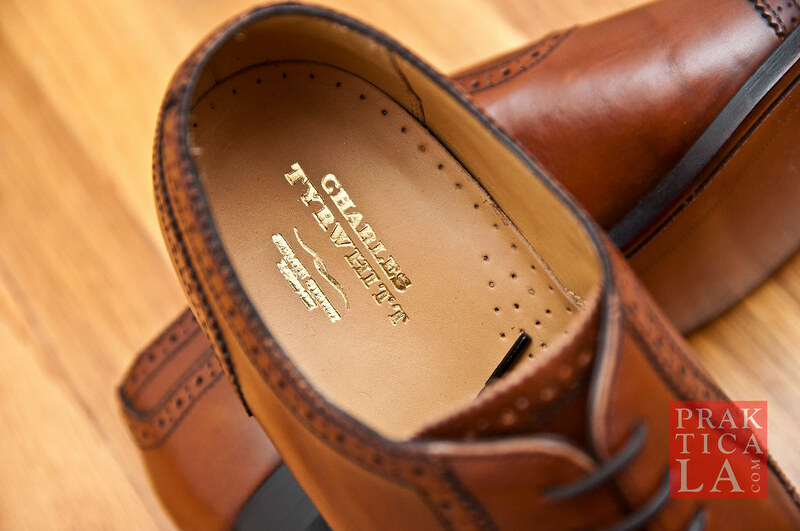 Charles Tyrwhitt is based in London and is best known for their high-quality dress shirts, but they happen to have a line of respectable shoes as well. If you look at their shoe lineup, you may notice that their descriptions make it unclear as to whether the uppers use full-grain leather, which as I mentioned in a previous post is pretty important. Some of the more expensive models claim the uppers to be “100% luxury calf leather” while others simply say “100% leather;” several customers have interpreted this as the identification between full-grain and corrected-grain leather. The box was ripped when it arrived. Sad face. The box is small and functional, and not very fancy. 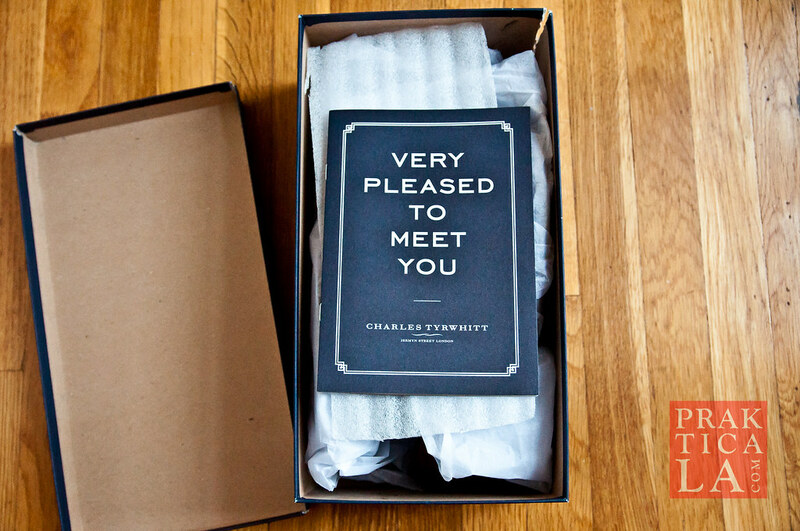 There’s a nice card inside the package, piping, “Very pleased to meet you!”; other than that you don’t get any amenities – no dust bags, shoe horns, or extra laces. Oh well. OK, but how are the actual shoes?? Super nice, I say! You know how cheap crappy shoes (and even some expensive ones) have a homogenous, plasticky, one-dimensional surface (aka corrected grain)? These have a beautiful color and finish that give the leather some “depth” and attractiveness. They are semi-brogued, meaning that they feature some conservative perforation along the upper – perfect for those of you who want a little action in your life but are too chicken to go the whole hog with wingtips. 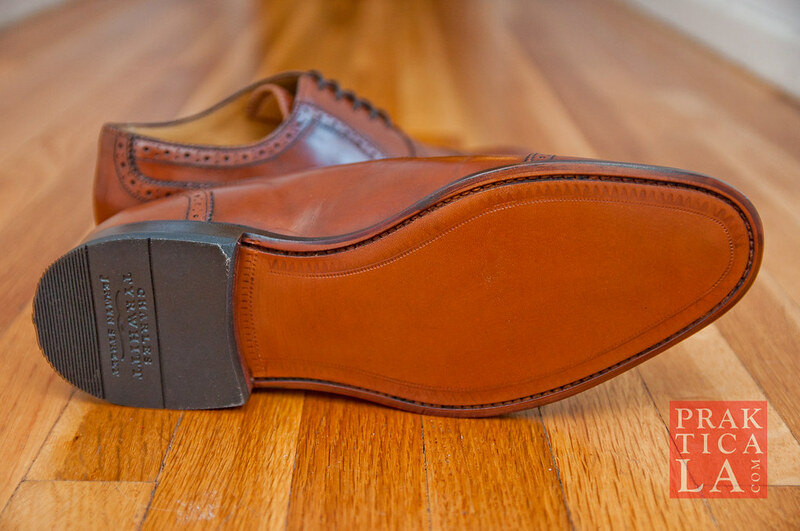 The leather is thicker and heavier than the Caine oxfords from Beckett Simonon that I reviewed last month, making the shoes feel more substantial, but also stiffer and more uncomfortable out of the box. After a few wearings, though, they start molding to your feet. These shoes are size 9.5 US, which is a half to full size below my usual 10 or 10.5; I based this off of their sizing chart and used my European size of 43 for reference, since I usually find European sizing to be more consistent. They fit narrow (but not too narrow) and are very snug, but as I said, they loosened up considerably after a walking around in them a few times. 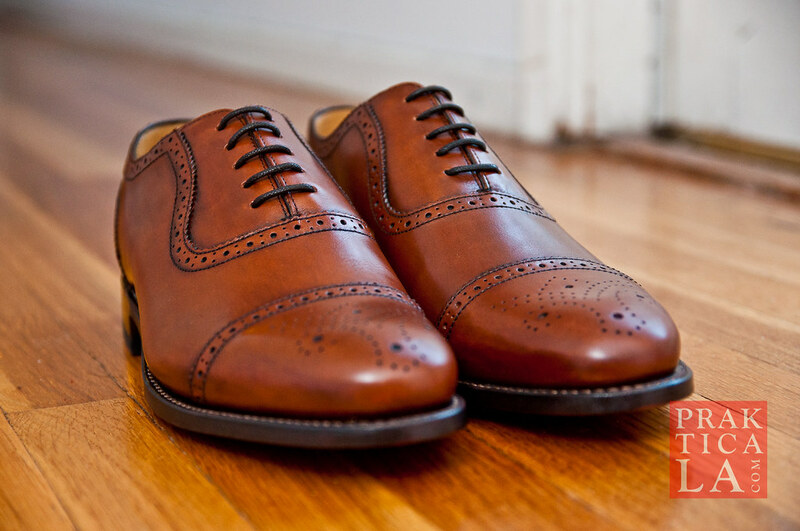 Can’t beat a pair of brown semi-brogues. No really, you can’t. The outsole is leather and is Goodyear welted, so it’s durable and long-lasting in addition to being resoleable; the heel is rubber and has the notched corner (mainly a perfunctory cosmetic detail these days) that the Caine was missing. Fortunately, I did not have to contact customer service regarding the shoes – everything was in order. However, I did order a shirt from them that didn’t fit me quite right, so I contacted the returns department and my request was quickly processed. They sent me a prepaid shipping label and all the necessary instructions. They have an aggressive six month, no-questions-asked return policy, no matter what condition the item is in – even if it’s stained, scratched, torn, or whatever. 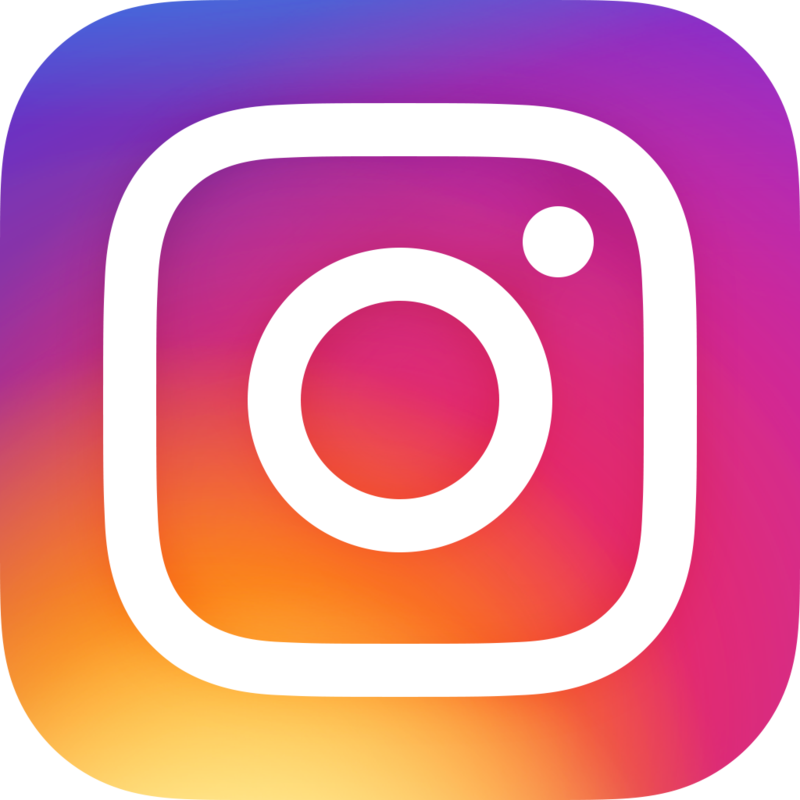 Also, the owner of the company, Nick Wheeler, includes his personal email address, so you can contact him directly with any questions or concerns if you wish. I have not tried this yet but it is a nice gesture regardless. Most of CT’s shoes cost over $200, and the higher-end ones are in the $300 and $400+ range. The sort-of good news is that they frequently have coupons and sales, so you can bring those numbers down quite a bit. 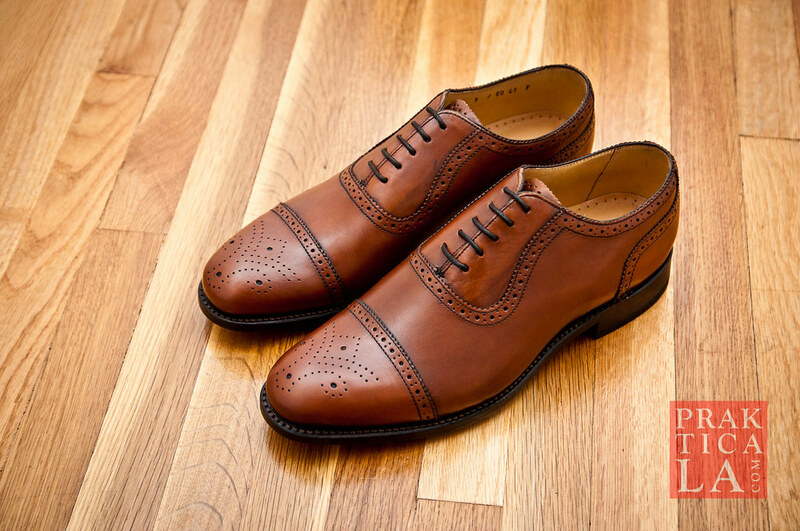 Brown shoes should be your go-to dress pair. Save those mopey black oxfords for only the most formal events, like if you’re receiving an award or something. Overall, I really dig these shoes. 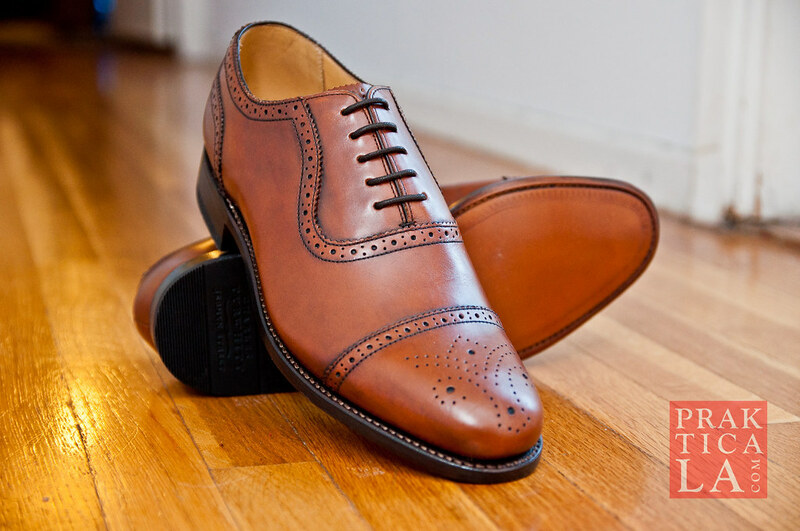 The brown color makes them versatile and the semi-brogue styling allows you to dress them up with a suit or down with jeans. You can get the brown Clarence Parker Toe Cap brogue oxford shoes from Charles Tyrwhitt by clicking here, and get $15 off your order of $75 by using promo code NEW15US! Let me know what you think. 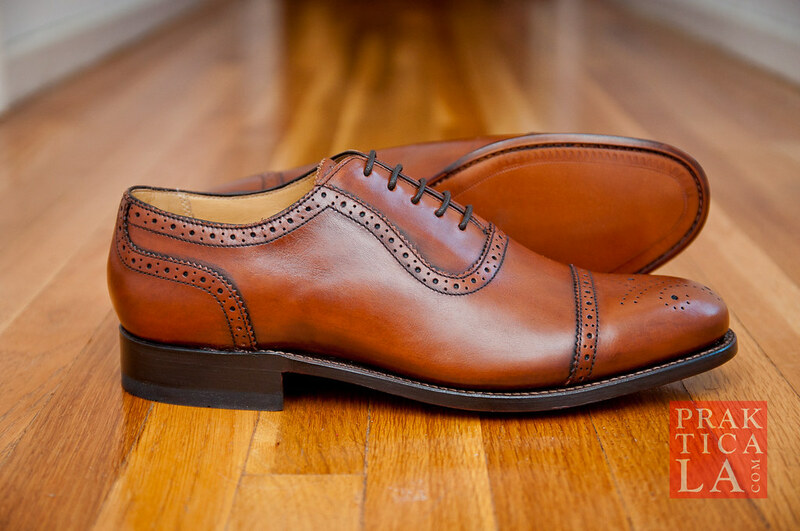 If you have your own favorite brown shoes, leave a comment below!